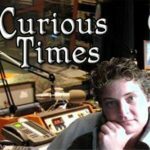 Hi Sondra, I just wanted to pop over and thank you for coming on my show Curious Times Radio. Both times you have been on have resulted in great feedback from my listeners. They have asked me to ask you back following both of your appearances on my show. Thank you for the excellent discussions and for providing such meaningful messages to our callers, and thank you for going above and beyond the call of duty by staying much longer in order to take all the callers, that is very kind and generous of you to do. I believe you are helping so many people in very profound ways. “I first discovered Sondra while listening to my friend’s show on HeyZ Radio. Through Sondra, I was shown without question what I was born to do, what is standing in my way, and very meticulously, how to rectify it. With much gratitude to Sondra, I am now tapping into that higher wisdom that will lead me through the rest of my journey. “A week after receiving a heart touching message from Sondra, I would like to share my written thoughts. Have you ever mulled a question over and over again in your mind so much that you are unsure which way to turn? Or to the point where you cannot hear or trust your inner voice? Just wishing that someone could really listen, understand and guide you out of the fogginess you have created? Well your wish can easily come true by just contacting Sondra Sneed! “Hello and blessings to you dear sister soul. l feel fortunate to have heard your story on The Moore Show. You are a brave individual and l thank you from the bottom of my heart. Sondra was able to give powerful messages to everyone that called for a reading, and even those listening in felt the truth in what she said. Thank you so very much!